Hey folks, what are your thoughts on this? Frost appears to be recruiting players from HS and JC who not only fit his system but who potentially could be really good players — of course some won’t pan out. Do you agree or disageee with me that the difference between the number one class and the 22nd is developement more than pure talent? Can you see where Georgia has recruited talent that is more developed than the Corn’s class? Could this be the big difference between a three star and a four and five? If Frost continues to recruit well and develops these players as he says, will the Corn in four years or so close the gap in talent to an OSU? I think development and coaching are huge. Look at Wisconsin, they are beating teams they shouldn't because they develop the right way and coach some underrated guys up. 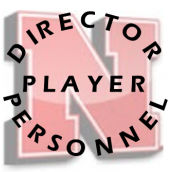 Nebraska needs to develop players better and coach them up so they can succeed. Honestly, we have the talent on this roster, best in the west in my opinion and according to the recruiting rankings. So its about time we start holding our weight and winning football games. There are countless guys that I am waiting to see live up to their potential, and I think in year one we will see some big-time offensive and defensive line improvements. Another factor with development and I think this gets overlooked is belief. Nebraska needs to go into big games playing to win and buying into what Scott wants them to do. If the players are properly prepared and coached they will overcome the talent deficiency. See Auburn and them getting pushed around by UCF, Frosts team believed they could win and bought in and guess what they won. 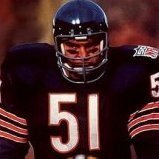 To answer that question on Georgia, no we can't beat them right now and yes they have better players that they recruited. Georgia has an unreal class that is better than OSU's which is also insane! It is a transition year and so things may take a little getting used to before we start seeing great results. Will it take 5 years? No, but we can and will get better talent here. With the superb coaching and development, that will make a top 15 class beat a top 3 class. I'll say this much, I think Frost would trade our class for Georgia's if he could. Development is going to be the most effective method of putting together a good team, but adding blue chip players can make a great team. Ultimately having Frost is what we need to go to the next level and we do have enough clay on our team for Frost to sculpt a masterpiece, but as we improve look for Frost to improve the talent level as well. People often talk about talent and development like they are mutually exclusive. The goal should be both. Stock pile top 15 talent, then develope them properly. Development is obviously very important but Nebraska needs a talent upgrade if its going to consistently challenge the teams in the east. Being ranked 20-25 in recruiting is enough to win the west but if osu and psu have top ten class to go along with top notch coaching thats asking a lot of frost to make up the difference. I don’t expect Frost to have consistent top 10 classes. I put my trust in his evaluation of talent and what fits his system. Some of his recruits will be four or five stars in his eyes, while they are actually rated three stars by the services. Yes some recruits will be rated four stars with the occasional five. But if Frost finds a few players under the radar that he thinks could be great players and there is little competition for them, he will go after them. This will lower the rankings some — thus a top 15 or even a top 20 with an occasional top 10. It all depends if the recruiting services agree his picks are rated as high as he thinks they are. I believe in the next five years if our classes average around 15, along with some really good walkons, we will be in great shape talent wise. Great talent can make an average coach look very good. Nick Saban is an excellent example. He didn't do well at MSU, but he is killing it at Alabama. Good point. Saban, because of the great talent he has, doesn’t have to do as much development perhaps as Frost. Thus it wouldn’t surprise me if Saban is not as good at developing players as some others. Wisconsin is an example of what you are talking about. Osborne’s early teams in the ‘70s and some in the ‘80s didn’t have great talent. He did quite well with it, except mainly Oklahoma exposed it. But that all changed from 1993-97 when we had tremendous talent. Osborne’s coaching generally didn’t change — except he did some minor tweeks and changed the defense — but his recruiting certainly did change. to be fair saban took over a msu team that hadnt been to a bowl game in 5 years and was under ncaa sactions and had them ranked pretty high before he left. True dat. And another data point to consider is Bill Belichick. Despite all the measures built into the NFL to ensure parity, he continues to dominate. (Eagles fans might take exception. But you know what I mean. lol) Belichick is a master at finding guys that have been cut or overlooked by other teams, picking them up for cents on the dollar, and getting all-Pro performance out of them. What Belichick does is really a third category separate from (known) Talent and Development: He recognizes overlooked talent. Let's hope Frost's staff can do this as well. GBR! Or Saban is really good at doing both, recruiting talent and developing it, and that's why he's on the most dominant run in college football history. This question seems to come every year. To me it’s really an odd question. Hmmm. To me they are 1A and 1B and it’s illogical to think otherwise. I brought up this question because some fans believe to get back into the NC race, we consistently will have to have top 10 or top five recruiting classes. TO in his later years proved that he could develop three and four stars into fours and fives. Frost certainly will go after overlooked players who are under the radar and who he feels can be potentially just as good and fits his system, in addition to the ones who are rated high by the services. Thus we may end up with great classes — hopefully — that are rated anywhere from 20th to 5th. I’m not seeing us getting consistent top 10 classes simply because of Frost finding diamonds in the rough. Let’s hope he is that good in finding talent. Buckle your seatbelts because we are going to get both. The thing is, recruiting rankings (as far as I can tell) mainly project a players NFL prospects. Now that is merely a guess and I could be wrong. It also depends on what positions we're talking about. For "skill" positions: QB, RB, WR, CB, and S/FS...it is mostly about talent. Yes there is development, but that basically gets the kid bigger and stronger. For other positions: TE, OL, DT, DE, LB...development is more important than "talent" or star ranking. Note: I am not saying talent isn't important, or Nebraska should recruit kids with minimal to no talent...it's just not as pressing as the other positions I listed above. For example, along the OL, you can recruit a bunch of walk-ons and coach/develop them into a great unit. Conversely, RBs either see that backside hole or they don't. Maybe not a perfect analogy, but good enough for what I am talking about. Not so much. There would barely be any five-star and high-four-star dual threat QBs if this were the case. It's how they are projected to fit in college. 247 has a good explanation of how they rate players. I can’t find the link from the mobile version otherwise I would link it. Clemson’s class with Watson was ranked 16th in the country? I believe It comes down to coaching with good recruiting. And the one sort-of outlier had a transcendental QB to push those two classes in the 20s over the hump. Oh an elite dual threat QB who is deadly with his legs and arm can make up for a lot. The simple truth is we need to work our way up to consistent top 15 classes...Dabo built it up over time and became better and better. We need to over perform with our low teens low 20's classes and work our way up the ranks year over year. I think we will accomplish this over time but we need to get some elite talent. They current elite coaches have elite talent. Having good talent and elite coaching won't beat elite talent and elite coaching. Max Emfinger and Tom Lemming were the two main recruiting gurus back in the 90s. Their rankings can be difficult to find, but here's the provided info I could find about how they ranked the recruiting classes that Coach Osborne had during his most successful years. So, Hedley's hypothesis about needing to recruit in the top 10 holds water; 3 of those classes set up National Titles. It’s obviously everyone’s belief that Frost is going to develop players more thoroughly. He will also create much more depth via the walk on program. My belief is that will help us out a ton. The key beyond that for competing for Natty’s will be that we get our recruiting classes into the teens for rankings. If we are unable to do that, I think Frost will only be able to get us slightly above where Pelini had us. Which means challenging for B1G Titles, just likely overmatched by the Penn states and Ohio’s states due to talent. Yeah the great myth that the 90s National Championship teams were built on the backs of walk-ons and lowly regarded recruits. Yeah the great myth that the 90s National Championship teams were built on the backs of walk-one and lowly regarded recruits. Tommie Frazier and Lawrence Phillips were spotted by an assistant coach while tossing bales of hay on a remote farm somewhere, and the rest is history. The formula is modern college football dating back as far you as you can with recruiting rankings tells a very different story than you are telling.....this includes TO. In the movie Generation Iron a few years ago, the #2 bodybuilder in the world Kai Greene is trying to unseat the #1 guy Phil Heath as Mr. Olympia champion. Greene said: "Hard work beats talent." Heath laughed and said, "Not if talent works harder." Heath is still the #1 guy today. That is the crux of this conversation, right? There shouldn't be a debate of Talent vs. Development. The simple fact is that you need both. Osborne's teams always had great talent in the 80's, and then he changed his focus on recruiting to bring in more speed from California and Florida. Then when Osborne added great S&C approaches, great schemes, and great mental approach, that's what produced championship football. Solich used the same approach as Osborne for S&C and other items, but he wasn't as good as a recruiter and he wasn't a OC. Who knows what would have happened if the new staff hired in 2003 was given more time. Callahan and his assistants could bring in talent, but he was poor at managing college athletes and a college roster. He was not good at the development side of the sport. Riley was awful at player development, and his recruiting is also questionable, judged by the amount of players which Frost was willing to let go this offseason. That's where I pulled my earlier post from. On top of that frost has said he expects to sign top 25 classes every year and recruit ahead of everyone in the west as we historically have. I expect Frost's classes to be in the Top 20-25 in the next year or two, and if the program improvement goes as planned, the recruiting rankings should improve as Frost and his staff are able to attract better talent. And that is exactly what will happen in my opinion. I honestly wont be surprised if we sneak into the teens though and stay out of the 20's all together. Yup, this is my biggest deal in it. People act like "talent" and "development" are mutually exclusive. You don't have to choose one or the other. "Talent" prospects can be developed and work hard just like the "development" prospects. It's a long row to hoe and on field results will be a large factor. So, those 6 classes were very highly ranked classes. 4 of them had rankings in the top 10, with another in the top 20. There was only one class outside the top 20. I don't have the individual rankings for each player, but those classes had a lot of talent, and the coaches did a great job of developing them into great players and team. It's a culture...Frost knows that. Pelini kinda knew that. Riley and Callahan didn't have a clue. Coaching matters more than any aspect in CFB, recruiting and development is apart of that. Again, I don't have the ability to go back through individual player rankings. If you are able to add player rankings on all the players I listed, feel free to do so. Also, Schlesinger wasn't a walk-on. 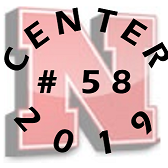 He was a scholarship recruit, after being a 2-time all state player from Columbus, as well as the Nebraska Defensive Player of the Year as a high school LB. I would say he was one of the best athletes recruited that year for NU. He just happened to play fullback, so you think he was a walk-on. For Weigert, he may not have had any other offers besides Nebraska, but he was also a Fremont kid, so most schools probably knew it would have been impossible to get him to go elsewhere. You need to stop making the players who were recruited by NU in the early 90s worse than they actually were. I listed the class rankings, along with the key players from those classes. NU did a great job of getting a lot out of those classes. That is through developing great talent. Again, talent and development shouldn't be mutually exclusive. EDIT: After Cdog posted the Lemming ranking of players, let's look at Schlesinger and Weigert. Weigert was the 59th rated Offensive Linemen, while Schlesinger wasn't listed. The rankings came out the exact same way that they do nowadays; after kids sign, before they play a game. That happens in every class, and is counterbalanced by the high ranked recruits. Tommie Frazier was, by all accounts, a 5 star player. Ahman Green was one of the top 3 RBs in the country, as was DeAngelo Evans. You can see that, in 1992, Nebraska had 16 of his high rated players: the #1 option QB, # 16 RB, #14 & #16 WB, #19 OT, #10 DT, #6 NG, and #10 OLB. In '93, we had a top 10 RB, top 10 OT, top 10 CB and top 10 S. In '94, we had a top 10 TE and top 2 DE. In '95 alone, we had 15 players, including the #3 RB, #2 OG, #3 OLB and the #10 and #11 DT QBs. Hell, in '97, we got 2 of the top 4 DT QBs. @Cdog923 that file with Lemming's recruiting rankings for each player would be a great time killer some day. Thanks for producing that. I still don't get why people want to poo-poo the talent that was brought in by Osborne. 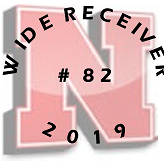 It's like they want to hang their hats on that those great teams were built on hard work and the genius of Tom Osborne. Yes, those 2 items were very important, as was the overall talent which was brought in by Osborne and the staff. If anything, it undervalues his worth and ability as a recruiter. Bingo, Osborne recruited lights out and was a fantastic developer of this talent. He was able to squeeze every ounce of potential out of everyone. This resulted in walk ins becoming contributors because of the culture established. It also pushed the 4 and 5 star recruits to new heights because that was the culture here. What our walk on program did was build quality depth and also provide a few surprises that turned into all Americans because of the development that took place. Let's stop pretending that no one else wanted several of our players. It isnt true.